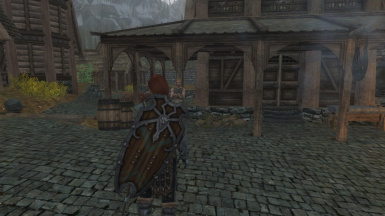 These files will put the shield on your back for certain mods. 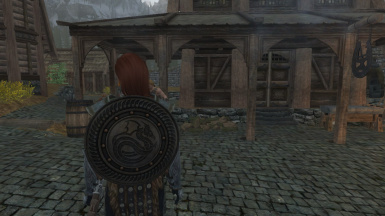 Dual Sheath Redux doesn't support all mods so i made a few patches for Dual Sheath to still have your modded shield on your back. Authors have the Permission to Download and place the file of their mod on their own page. The Optional Requirments are only Required if you have that MOD installed. I will not make it one big cluster of all files together. I will be updating the mod with more patches for different mods. I do not claim these mods to be mine, i never will and shall always put the credit to the rightful Author. Author's are allowed to put the files on their page this is just a all-in-one page for all the files i created for Dual Sheath Redux. 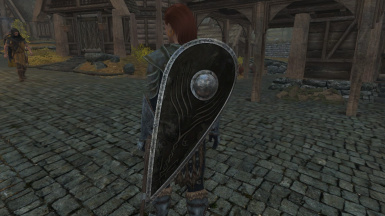 For now i will only make patches for shields, but i will later continue on a different modpage for swords if that's requested a lot. There is a slight chance that some Shields won't work. If you find a shield that isn't patched correctly please tell me, I will update the file that will fix the problem. 1. Reinstall the file(s) and repatch it with the Dual Sheath Redux patcher. 2. Remove Dual Sheath Redux Patch.esp then repatch it with the Dual Sheath Redux Patcher - Sometimes the Patcher doesn't add new files with a mod added before this patch, This is a ''resets'' the patch. 3. Follow all the instructions @ Dual Sheath Redux Mod page. - These files will work if you have Dual Sheath Redux correctly installed. Q: How long does it take to make a patch? 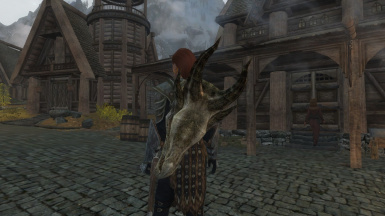 A: Depending on how big the file is and on how many shields/weapons are in that mod. For only 1 stand-alone shield about 10-20 minutes. 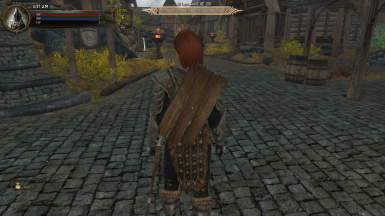 Q: Does this work with backpacks and capes? A: Backpacks: No - It will still be on your back, but it won't go on top of the bag. Capes: Yes - Shield go on top of the cape.